At least it should on ABC, which has handed its entire Thursday prime-time schedule to drama doyenne Shonda Rhimes. Starting this week at 8 p.m. EDT, it’s “Grey’s Anatomy,” with Rhimes the showrunner for this medical melodrama’s 11th season. At 9 p.m., “Scandal” begins its fourth year with Rhimes also serving as showrunner. 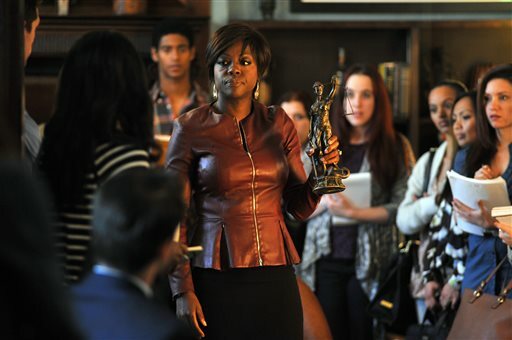 Then, closing out Shonday at 10 p.m., “How To Get Away With Murder” premieres with Viola Davis as a rife-with-mystery criminal lawyer who apparently will do anything to spring her clients and who, as a law professor, trains her students to do the same. This baby has a clear family resemblance: “Murder” crackles with rat-a-tat dialogue, larger-than-life characters, outrageously tangled narratives, and a rainbow coalition of a cast led, as with “Scandal,” by an African-American actress. Fittingly, the “Murder” heroine is driven, charismatic and diabolical, even more so, arguably, than “Scandal” cleanup queen Olivia Pope (played by Kerry Washington). But it was “Grey’s Anatomy,” a 2005 midseason replacement, that put Rhimes and ShondaLand on the map. Today, at age 44, Rhimes reigns as a hitmaker unmatched in TV history, just days from not only ruling a full night of ABC real estate, but also stewarding two broadcast-network dramas with black women as protagonists. 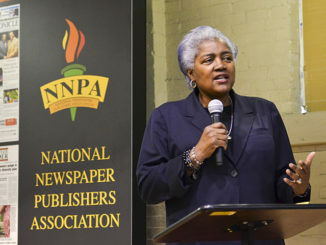 “Why did it take somebody black to talk about being black?” Rhimes said, marveling that TV has stubbornly resisted mirroring the world she and most people live in, a world she has tried to reflect through her matter-of-fact inclusiveness of race as well as gender, age and sexuality. But ultimately everything issues from Rhimes. All roads in ShondaLand lead to her, which begs an obvious question: How does she do it all, turning out this quantity of product while preserving a consistency of vision and voice? “There’s a feeling of flying by the seat of our pants,” she said. “And it seems sometimes like we’re telling something crazy. But it doesn’t feel crazy to us. There’s a plan to what we’re trying to tell, with larger themes that I feel strongly about: lives of women, race in America, politics. I don’t want to say I’m on a soap box, but there are moments when you can rant a little bit, and that’s kind of fun. One last question was easier to answer: How does it feel to be a big-time TV mogul? But before she let herself get too carried away, she cited a Michael Jordan quote. It’s the one where he summed up his job as just playing basketball. “I just make the shows,” said Rhimes.